Hello everyone! Again, I'm so sorry for being away. I've been busy with the fam, and I was so fortunate to be able to see Tim and Mario recently, while they were working at The Crafty Scrapper. It was a fabulous time, and so great to see my friends!!! 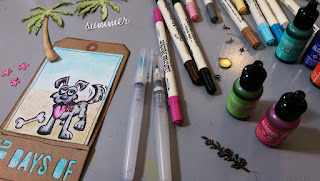 Now I'm back at it, and gearing up for my holiday classes, and I've finally made some time to do my Tim tag for July, for the 2016 Tag Remix. Oh what fun it was to make!!! 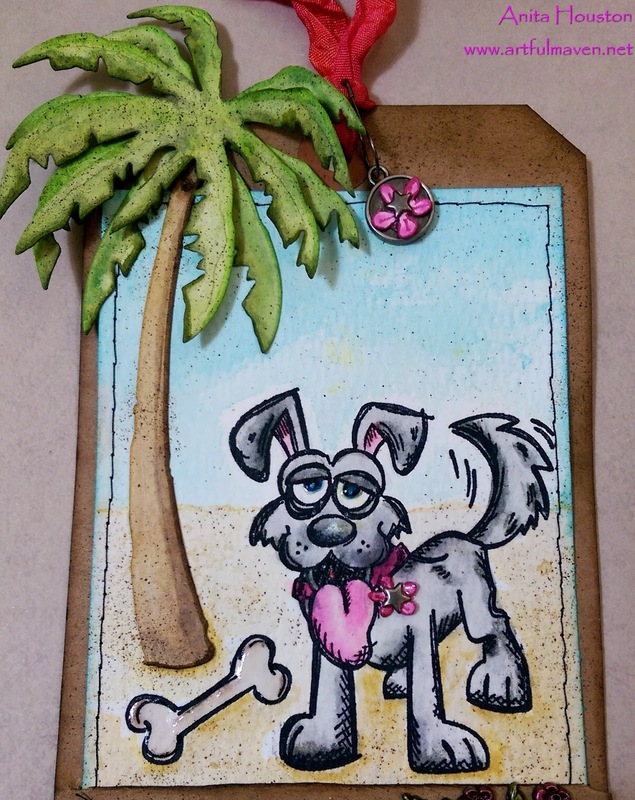 I am IN LOVE with the new Crazy Dogs!!! 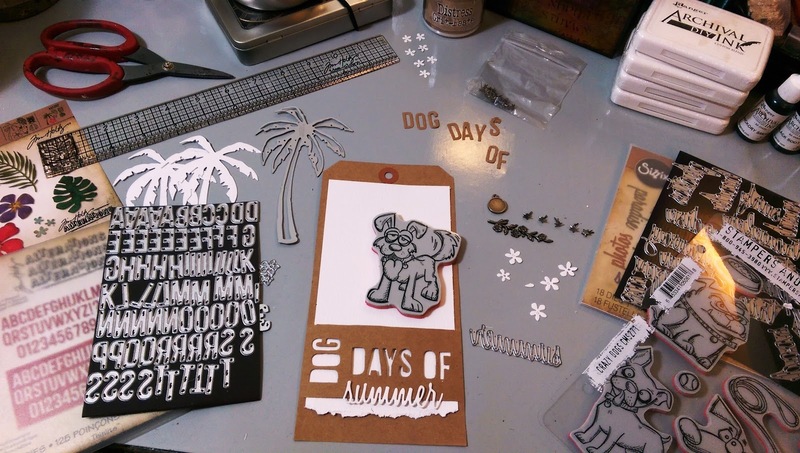 I am also in love with the two techniques Tim combined to come up with the tag (My July, 2015 and April, 2015 tags here. ), and how he switched things up with the direction of the word dies...so cool! 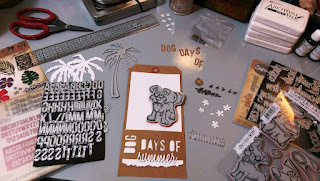 There was lots of die cutting, and I even used a few of Tim's new Sizzix Thinlets...Tropical and Vacation Words in Script. Distress Water Color Cardstock cut very well with the Thinlets. 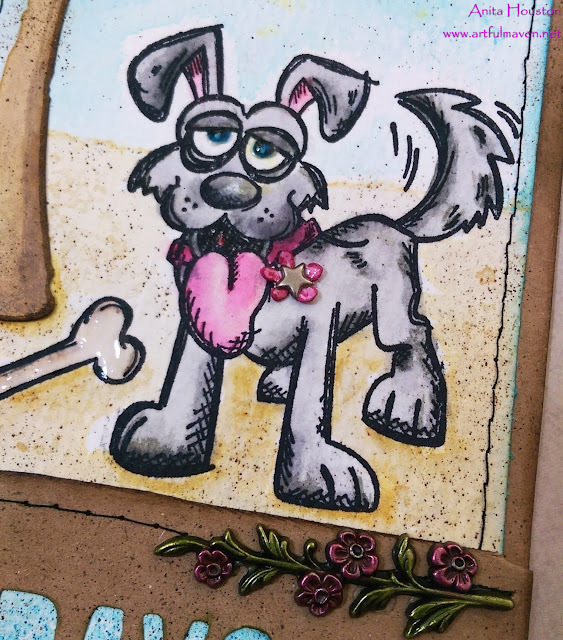 After I stamped the new Crazy Dog from Stamper's Anonymous, in Jet Black Archival, I started water coloring in the dog and background as per Tim's instructions, and then I water colored in all the rest of the die cut pieces. I colored the metal flowers with Tim's new Alcohol Ink from Ranger. Once everything was dry, I sewed, adhered, and then added some Glossy Accents on a few things. I used the Idea-ology Stars for the centers of the flowers as well. Thank you Tim for inspiring us, and keeping the techniques fresh in our mind! I'll be back again soon. Thanks for looking everyone!!! 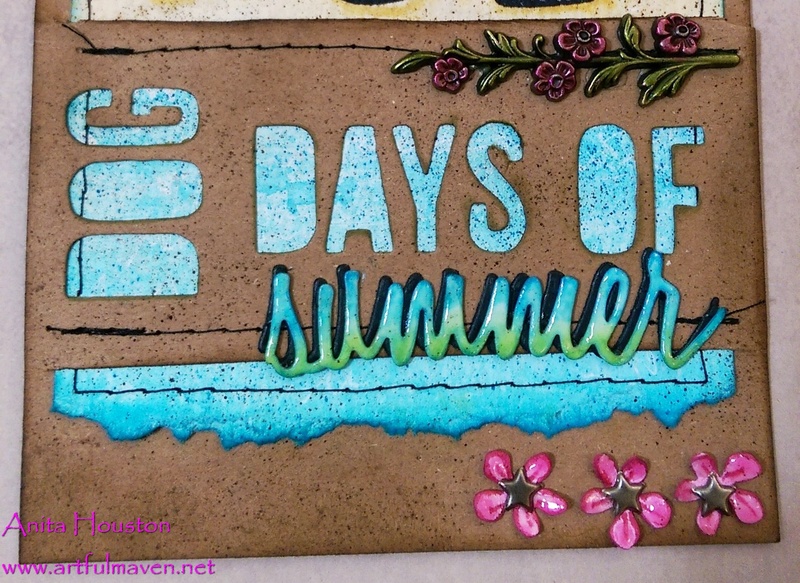 This is such a fun tag, as well as a perfect and very clever design for the Summer TH tag. I noticed on Instagram that you were at The Crafty Scrapper when Tim and Mario were there. I wanted to attend, since I was in the DFW area that weekend, but I had some scheduling problems. It would have been marvelous to meet you,Tim and Mario. Blessings, my friend! Ditto that! I would have loved to meet you. Next time!!! Totally Adorable!!! 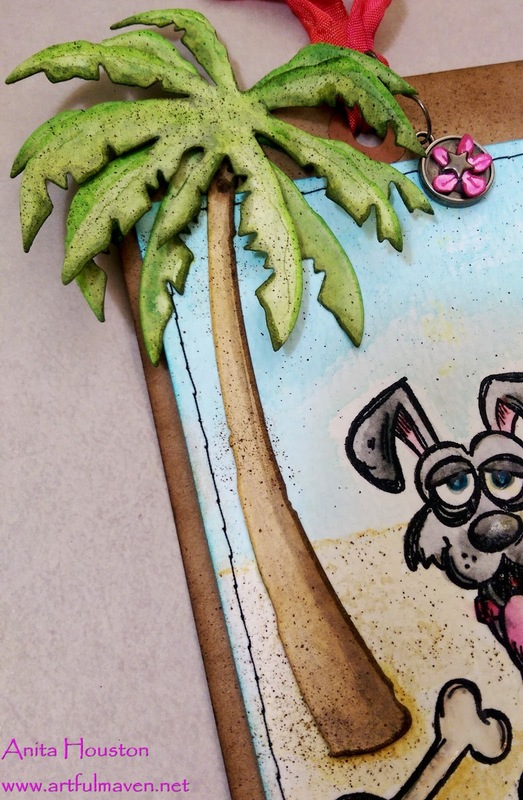 Absolutely love the palm tree!!! Great tag!! 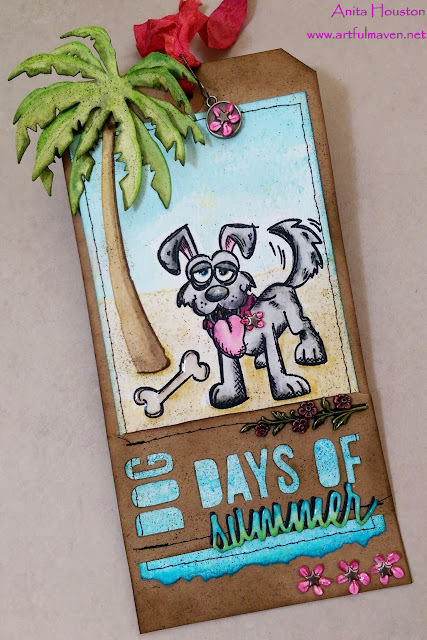 Oh Anita, this is a fantastic summer tag with this cute, funny-looking dog! The colouring and the composition are perfect! 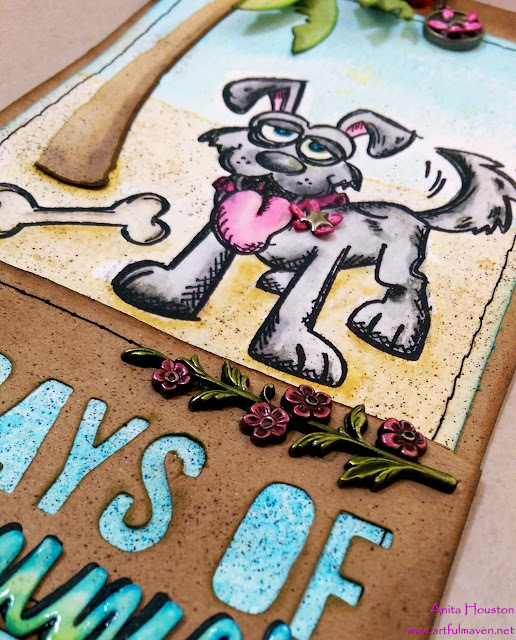 So cheerful and I love it! Wow, Anita, your tag is totally awesome!! What a great idea popped into your head with the dog. I love it!! great Tag Anita! love the says too...just perfect. WOW WOW WOW!!! I love the new stamps of the dogs! Your tag is amazing, could be the scene of a comic book, it gives me so much joy ... but also a great desire to sea! I am in love with your tag, it tells a story, a crazy story maybe, everything is perfect, nothing better than this, tha says too, great take on July tag! 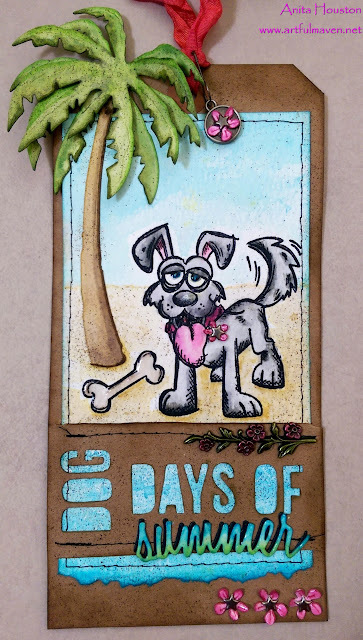 I love the summery theme and of course the adorable dog! Crazy Patriotic Panels Tutorial Over At Ranger!